The federal Minister of Natural Resources has introduced legislation requiring substantially increased financial responsibility for pipeline operators, and the Canadian Transportation Agency announced that it would conduct a review of liability insurance for railways. At the same time, the Alberta and federal governments have issued guidelines that help operators understand the regulatory requirements for industry approvals and for pipeline management. The recent railway disaster in Lac-Mégantic, Quebec, involving a train operated by Montreal, Maine & Atlantic Railway (MM&A), highlighted the problem of insufficient insurance for environmental liability. MM&A had insurance coverage of only $25 million, but the Quebec government estimates the cleanup costs will be closer to $200 million. MM&A’s level of insurance had been deemed acceptable by the Canadian Transportation Agency, which provides a Certificate of Fitness to any federally regulated railway before it can operate. There is currently no requirement for public consultation or notice regarding the level of insurance. In August 2013, the Canadian Transportation Agency announced that it would undertake a consultation and review of adequacy of third party liability insurance coverage requirements for federally regulated railways, although it emphasized that it is unaware of any federally regulated railway having insufficient insurance to cover incurred claims in the previous10 years. The agency is engaging in public consultation and will likely recommend improvements to the regulatory framework set out in the Railway Third Party Liability Insurance Coverage Regulations at some point in 2014. Development of any new pipeline requires significant investment and is subject to an intensive and public environmental assessment process, as demonstrated by Enbridge’s application for its proposed Northern Gateway Pipeline. The National Energy Board, which is responsible for environmental assessments for pipelines, can, as part of the assessment process investigate the operator’s ability to pay for potential damage. This is a much more public and transparent process than the Canadian Transportation Agency’s process for issuing Certificates of Fitness for railways, which have been able to start shipping oil in tank cars along an existing routes without drawing much attention. Further, on June 26, 2013, Canada’s Minister of Natural Resources announced that legislation will be introduced requiring oil pipeline operators to demonstrate the financial capacity to pay for any damage caused by spills or incidents. For major pipelines, the government indicates that it will require a minimum financial capability of $1 billion. In addition, the legislation is to require companies to appoint a senior officer responsible for compliance of management systems and programs, and for ensuring that emergency and environmental plans are transparent and available to the public. A comprehensive and detailed discussion of these issues can be found in the STP newsletter article titled “Environmental Liability Insurance Requirements for Rail versus Pipeline,” by Fergus McDonnell and Kristen Brewer of Fasken Martineau DuMoulin LLP. The article is available as a free download. 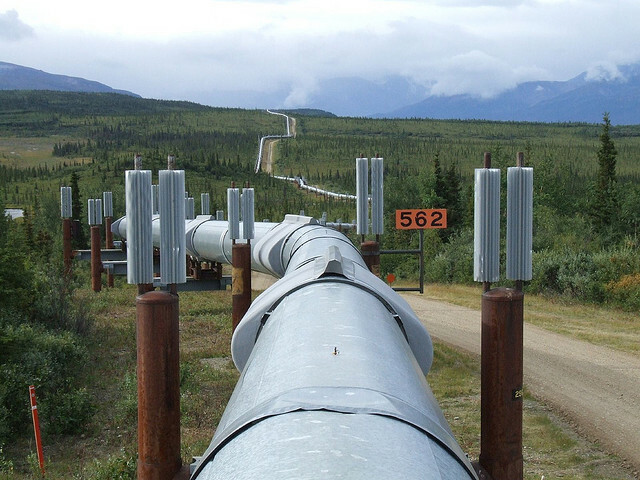 In September 2013, the National Energy Board (NEB) released its Guidance Notes for the National Energy Board Onshore Pipeline Regulations, which require pipeline companies to develop and maintain management systems and protection programs for the safety and security of pipelines, employees, the public, property, and the environment. In August 2013, Alberta released new guidelines for industrial approval applications. The Guide to Content for Industrial Approval Applications provides guidance on preparing applications for all industrial activities identified in Schedule 1, Divisions 1, 2, and 3 of the Activities Designation Regulation under the Environmental Protection and Enhancement Act. The associated “Complete Industrial Approval Applications Policy” details the factors considered in evaluating the completeness of applications, and the procedure for rejection of applications.